Cryoablation may help men whose prostate cancer recurs after radiation therapy (RT) avoid or delay retreatment with androgen deprivation therapy (ADT), according to findings from a Fox Chase Cancer Center study. Of 52 men who underwent salvage cryoablation therapy, 29 (56%) achieved undetectable nadir prostate-specific antigen (PSA) levels. In all, 41 patients (79%) had not progressed to ADT after a median follow-up of 12 months, while 11 (21%) received ADT at a median time to initiation of 9 months. There were no complications of grade 3 or greater severity. 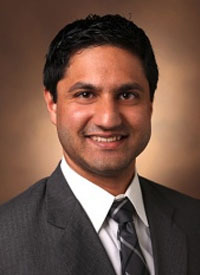 The results show that cryoablation therapy in this setting provides a clinical benefit, even with noncurative intent, said Shreyas Joshi, MD, a urologic oncology fellow who presented the findings at the 2018 American Urological Association Annual Meeting in May. Joshi said approximately half of patients with localized prostate cancer are treated with RT as first-line therapy and that 5% to 10% of these men will experience local disease recurrence. Historically, most patients have received ADT after biochemical recurrence (BCR), partly due to the perception among clinicians that other strategies are “high-risk, low-reward” options, Joshi said. For their study, Joshi and colleagues identified patients with nonmetastatic locally recurrent prostate cancer who had undergone RT by external-beam radiation therapy, brachytherapy, or both. The median age of the participants was 71 years. Their PSA characteristics were assessed before and after cryoablation. The primary outcome measure was ADT-free survival. Overall, the median PSA for the study group declined 97.5%. The median presalvage PSA was 5.5 ng/mL, which dropped to a median postsalvage level of 0.14 ng/mL. Signi cance was measured as the difference between matched pairs of values. The study data demonstrated a statistically significant difference of P <.001, a value that crossed the prespecified threshold of P <.05 under a Wilcoxon Signed Rank test algorithm. The results indicate that local salvage therapy “should be considered for men with BCR to prolong ADT-free survival,” Joshi said during his presentation. He added that follow-up is needed to define the extent of the benefit that this approach would provide. Joshi S, Strauss D, Correa A, et al. Using ADT-free survival to evaluate the utility of salvage cryoablation in men with locally recurrent prostate cancer after radiation. Abstract presented at: AUA 2018; May 18-21, 2018; San Francisco, CA. Abstract PD34-01. jurology. com/article/S0022-5347(18)40878-6/fulltext.